Since Weight Watchers, as awesome as that program is, failed to do the trick and help me lose weight, and simply cutting carbs failed miserably, my endocrinologist came up with another plan. I am currently taking Qsymia and a 1200 calorie per day diet. I was not at all pleased with the prospect of this new path, because I literally expected to starve. Everything I’d ever read said that anything below this amount was going to kick my body into starvation mode and my metabolism would tank. So far, this is not the case. However, that comes with a huge BUT. I’m only two weeks in. I’ve lost a great deal of weight. My first week was a loss of ten pounds and my weigh in day is tomorrow. I fully expect to have lost another seven pounds. BUT I haven’t lost one ounce since Tuesday. Before Tuesday, I consistently lost some arbitrary amount each day that I stepped on the scale. So when the scale suddenly stalled I went into panic mode. Here it is. The end of the road. AGAIN. The millionth time I’ve lost the same 15 or so pounds only to stall. I’ve been trying to spread my calories out across my three meals a day. It kind of works for me because I’m not much of a breakfast eater. I usually have a piece or two of fruit. My breakfast calories usually run about 150, leaving me 1050, or 525 each, for my last two meals. I tried to mix it up a bit, eating chicken breasts and veggies or salads, always playing by the rules, and still…no budging. I am not the kind of person who rests on my laurels and is satisfied with “Oh, well.” I began to think about my options. Since the rules of this weight loss game are somewhat limited for me, the parameters being that I have only 1200 calories to play with and PCOS cheating its way through, I had to get creative. I did the one thing my nerdy self is really good at: research. And here’s what I found. Just like all WW points aren’t created equal, neither are calories. And I’m not just talking about empty calories versus nutritious calories, here. There is a real bang for your buck issue going on under our noses, folks. So, here’s the new tactic I’m trying. I’ll let you know how it’s working in a week. Looking at the calories I’m consuming, just like with WW points I took two things I love to eat and compared them: corn on the cob and broccoli. Did you notice what I noticed? 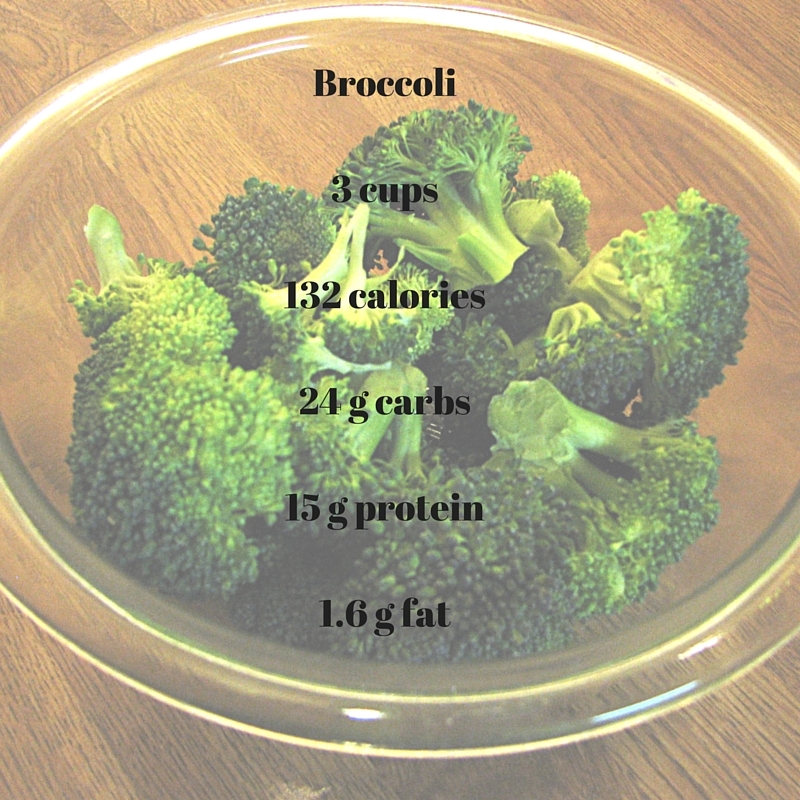 In order to make these two veggies comparable I had to monkey with the serving size of the broccoli. Do you know how much three cups of broccoli is? It covers an entire dinner plate! When comparing sheer volume of food, it’s obvious that these calories are not equal at all. 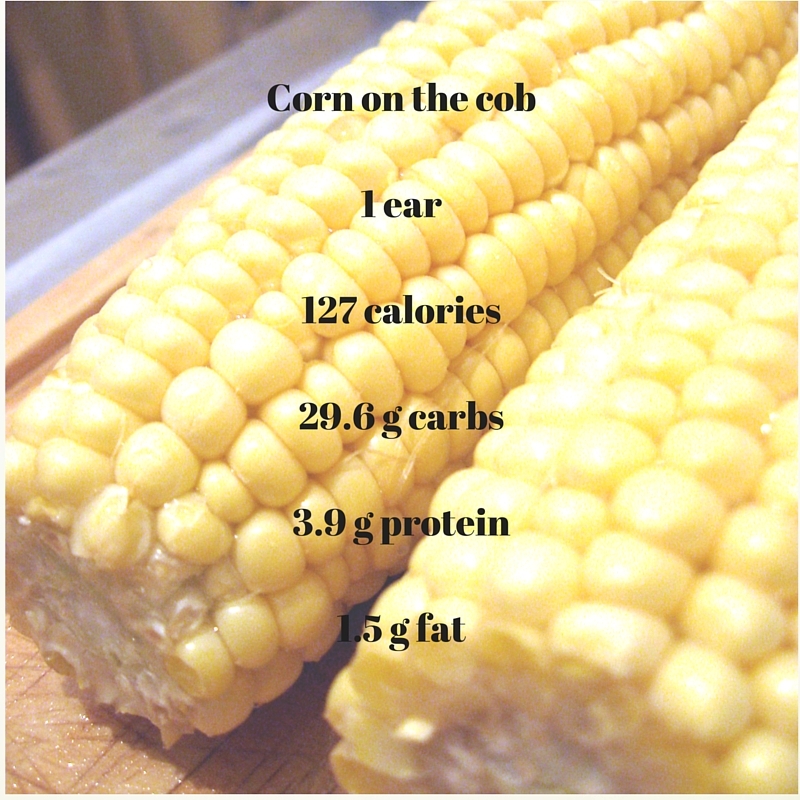 What I also found interesting, especially from a PCOS standpoint, is the amount of protein. Us girls with PCOS need more protein than we need carbs. In fact, the fewer carbs the better. And from this viewpoint, again, broccoli wins hands down simply because it has almost 4 times the amount of protein than corn! This girl is bulking up on the broccoli for sure! So, taking this information in and applying it is one of two strategies I’m trying. I’ve also downloaded an app to my phone called My Fitness Pal. If you don’t have this, GET THIS. When you have to nitpick every gram of everything you eat, this app does the heavy lifting for you. It allows me to track my weight, customize my caloric intake and set the nutritional guidelines I need on a daily basis. For instance, because of the PCOS I need to cut the carbs in my diet WAY back. I can go in and manually change the percentage of my diet I want to be carbs and the app will alert me when I’ve reached my limit. It also allows me to log my exercise and tells me how many calories I’ve burned for each activity, giving me credit in calories for my hard work. Sometimes I use them and sometimes I don’t. As I said before, I’m a little worried about my metabolism. In any regard, I’ll let you know how this plan goes and how the endocrinologist feels about these developments at the end of the month. Until then, stay strong and know that eating healthy, regardless of the number on the scale, is good for you. Always. So, what new things have you learned about food or weight loss lately? Do you have any good, low carb recipes to share, or awesome sites that have recipes for those of us struggling with weight? Leave a comment, recipe or link in the comments below. Let’s build a community to help support those of us struggling with our relationship with gravity! Miranda Gargasz is a freelance writer. Many of her essays can be found on sites like ScaryMommy, The Christian Science Monitor and The Huffington Post. In 2014, she published Lemonade and Holy Stuff and in 2016 she published Plus Size Mama: An overweight mom gets real about weight loss. She is also a contributor to Only Trollops Shave Above the Knee, and Lose the Cape: Never Will I Ever. Her debut novel, Haunting Suspicion, is being sent to agents for representation. She is currently working on her second novel, Dragonfly, about learning to love what you have before it's gone. This entry was posted in Losing, PCOS, Uncategorized and tagged calories, low carb diets, PCOS, polycystic ovarian syndrome, Polycystic ovary syndrome, Weight loss, Weight Watchers. Bookmark the permalink. Hi Miranda! I like your comparisons. 🙂 I avoid starchy veggies like the plague! I eat a low carb/ high protein diet and it really works for me. I don’t have specific recipes because I tend to eat food in it’s purest form rather than mix too much together. I eat lots of grilled chicken, fish and seafood, along with veggies like broccoli, asparagus, salads, etc. I also limit my fruit consumption to one serving per day. My snacks are usually nuts, jerky, hardboiled eggs–anything high in protein. I do have one or two proper serving sizes of a whole grain each day–like oat meal or a slice of whole grain bread, but I don’t overdo it. The thing that works best for me is to just not have anything tempting in my house. Good luck! This way of eating really works for me (I’ve lost 100 lbs over the past 18 months). WOW! You really are a disappearing woman, lol! Good for you! I have to say that I was truly expecting to be climbing the walls starving on this diet and I’m not. That’s not to say that I’m not hungry. Sometimes I am, but nothing like what I’d imagined. It is so strange the things we don’t realize about our food, how truly mindless we’ve become about it. I envy those who can eat whatever and remain thin and active. I’ve come to realize I will never be that woman. I am lucky to have a supportive family who realizes that I can’t have temptations around, either. Thanks for taking the time to read and comment!